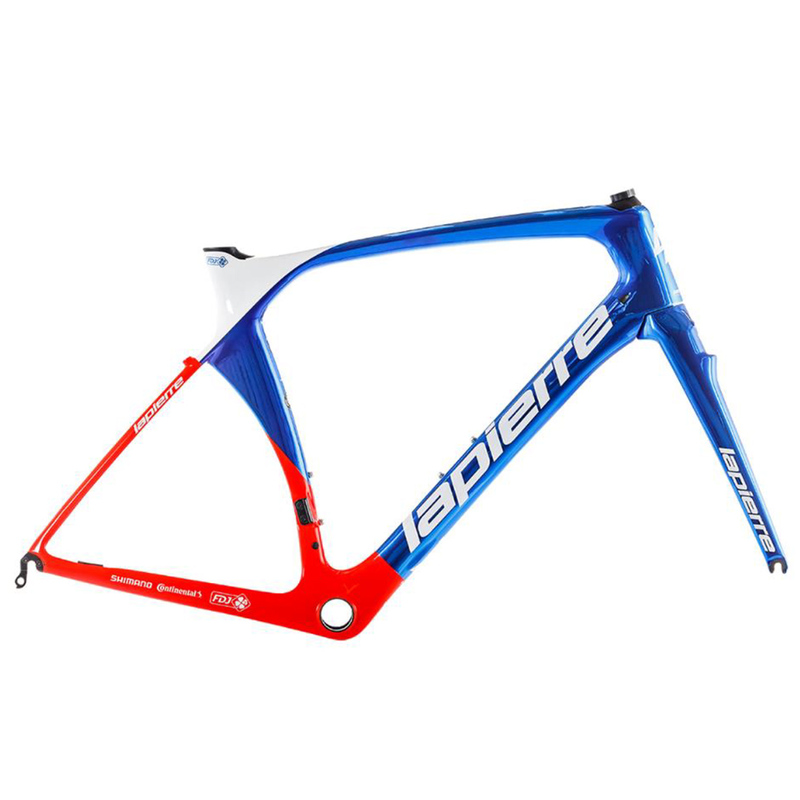 Designed for racing, aerodynamic, stiff and lightweight all at once, this model is the jewel of the Lapierre FDJ team and its star sprinter Arnaud Demare. The innovative profile of its Kamm Tail and NACA tubes ensures attainment of unmatched aerodynamic efficiency. Highly-refined integration of the streamlined Aeroflex seat post, lower center of gravity putting you in the "attack-mode" riding position... nothing will slow you down when readying for the final sprint..
Superlight Technology. Carbon layup to reduce weight, ready for competition. NACA & Kamm Tail Tube profile : taking the best of automative and aerospace technology. Lapierre's patented Trap Door Technology : Di2 battery more easily accessible and low centre of gravity.